I love autumn - the remnants of sun-kissed skin and the first coppery leaves on the trees. Harvest season is the time to reap what has been sewn; both in nature and in the landscape of our bodies. Here are some suggestions of how to proceed. Let’s be honest, summer can be an excessive time of year. Sunset drinks leading to impromptu festivities with friends, late night dining, snacking on sweets and our regular workouts on temporary hiatus. It’s all part of the season’s good mood package! However, only to a certain extent. To get back on track, I recommend a mono-diet. It’s less drastic than fasting and yet still allows the body to reset, taking the focus off digesting for a bit. Apples are a particularly mono-diet friendly food as they can be eaten raw, cooked, stewed or dried. And try adding a touch of cinnamon or a few drops of lemon (the 1st is good for stabilizing blood sugar and metabolism, the later is alkalizing). 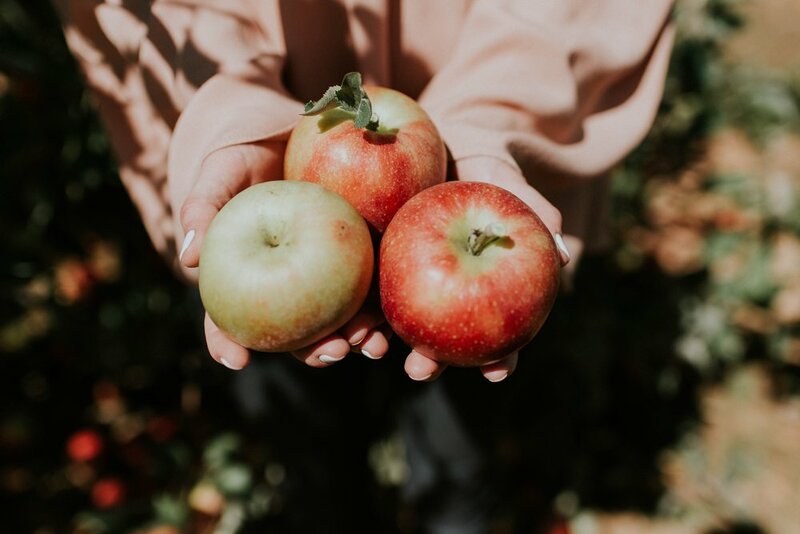 Fall is also grape season, a fruit that has antioxidant powers but with a high dose of sugar, so for a diet I would rather alternate with apples, pears or persimmons as they are rich in vitamins, fiber and antioxidants, too. On the savory side, try squash, potatoes or sweet potatoes - all rich in vitamins, minerals and with alkalizing properties. We can also do a digestion pause by consuming green vegetable juices and soups made of seasonal vegetables. I always say that it is better to do small detoxes regularly, than a long fast one once a year. Try playing around with it to see what works for you. For some it may be one evening a week or every other night; for others one day a week or every night of the week for a week; for others three days every month. See what feels the most balanced and enables you to find pleasure in the pause of the mono-diet as opposed to frustration and resistance. 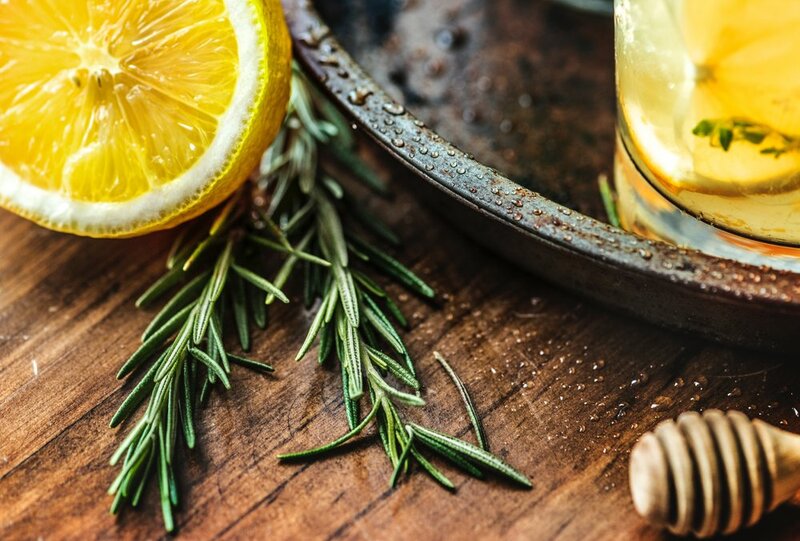 And, of course, the rest of your meals should be health-focused and limited in stimulants like alcohol, coffee and sodas (easy to replace with infusions from herbs and leaves like mint, nettle, fennel, ginger, thyme, marshmallow....). As we move closer to winter, our bodies become more likely to become depleted, resulting in our getting sick. For this reason, it’s important to stock up on vitamins and minerals during fall, when we can still enjoy raw vegetables and fresh vegetable juices that have not lost their vitality. Prioritize organic, seasonal and local products as they are the most nutritious. In most cases, eating raw foods provides maximum nutritional benefits. Organic products do not contain pesticides. And locally sourced ingredients means more freshness and therefore less loss of nutrients than products that have traveled thousands of kilometers to get to the plate. Similar logic for seasonal organic products, that grow naturally in natural conditions. For me, the whole concept of the permaculture seems to be the future in terms of environment and health! Much more than a trend, these powerhouse products are like one-stop-shopping for vitamins and minerals. Sprouted seeds are my favorites. Small self-lysate seeds - meaning they draw all the necessary energy to grow within themselves - are rich proteins. They are very easy to make: soak 1 tablespoon overnight then rinse morning and evening for 3 days. Great in juice, salads, on a slice of bread or in soups. I also like mushrooms: reishi, maiitake, shiitake, chaga, Lion's Mane, cordyceps... They are full of nutritional benefits, highly antioxidant with an action on the immune system that is scientifically recognized. They can help with stress and calm the nervous system. Different mushrooms have different properties, so find the ones that work for your needs. For example, reishi and chaga are adaptogens, meanding that they will adapt to your needs, shiitake and maiitake are immunity boosters (though do not use them in case of an autoimmune disease), Lion's Mane acts on the nervous system. Cordyceps is both energizing and an aphrodisiac. Other superfoods that I like are seaweeds. Saltwater seaweeds like wakame contain lots of minerals, iodine, protein, fiber, and they are much less affected by the impact of heavy metals. Sprinkle on salads, in soups or make a seaweed tartare out of them. As for freshwater algae such as spirulina, klamath or chlorella, they are also rich in protein and minerals, regulate the acid-base balance and have a positive impact on blood sugar. These, too, can be added to juices, smoothies, soups and salads. The less adventurous can take them as supplements instead. Our intestines contain 2 kg of bacteria, all playing a necessary role. However, stress, lifestyle and environmental factors can result in things getting out of whack. Gut flora plays a crucial role in regard to our immune systems. They are part of the lymphoid tissues that produce antibodies, allows for nutrient absorption, the synthesis of vitamins and the prevention of intestinal porosity (aka leaky gut). When our gut bacteria is disturbed, it can result in skin problems, digestive disorders, weight gain and eve depression. A healthy flora requires both PRE and PRObiotics. Prebiotics can be easily obtained through a diet high in raw foods, live foods and vegetables. I recommend taking probiotics with 10 billion active cells for 1-2 months at each change of season. We hear more and more about the impact of the glycemic index on health, specifically in regard to weight, physical and intellectual performance, the nervous system and depression. When we consume carbohydrates or sugars, the intelligent machine that is our body has a whole system to turn these sugars into energy. The higher the glycemic index, the more insulin is produced by the pancreas in order to maintain a stable sugar level in the blood. This then causes a peak of blood glucose, followed by a reactive hypoglycemia that then creates a new need for sugar. It’s a vicious cyle. The highest glycemic index is glucose (= 100) and the higher the glycemic index, the more likely we are to store the sugar as fat. Insulin will drive excess sugar to the liver, where it becomes triglycerides stored in adipose tissue. Know also that cooking methods and food combinations affect the glycemic value. All this to say that to preserve your body for the winter, the glycemic index is an aspect to take into account. There is a good glycemic index on the Montignac. I personally like following Ella from the Instagram account Mega Low Food, she shares all her low Glycemic Index recipes. • Meditate: focus on the first two chakras. Muladhara is the root chakra, it allows people to ground themselves in the present moment and to concentrate its energy. Svadistana is the second chakra, it is the center of the action and of creation. A meditation based on these 2 chakras can be particularly useful in boosting confidence in creating and launching new projects. • Rest: the fall months can be fast-paced but try not to rush too much as we need all the help we can get to thrive in the winter months. • Breath fresh air: enjoy the last rays of sunshine and mild temperatures to practice a sporting activity outside, running in the forest, strolling by the sea, practice yoga…. There is nothing more important to our health than oxygen! • Use essential oils: eucalyptus radiata and Scots pine are great air purifiers; lemon energizes; lavender, camomile and Petitgrain are calming. And overall, take of yourself, listen to yourself and prioritize your needs: "You are stuck with you at the end of the day, so it's important to invest in yourself."